One of the loveliest things about having three children is that overnight we doubled the siblings that our children have. Instead of just one person to grow up with, share history with, drive crazy, push to the limit and love unconditionally; they now have two. It also means that there are so many more sibling relationships to watch and love. There is the big brother and big sister twosome, my original pair of siblings; so often mistaken for twins, completely thick as thieves and the very best of friends. Then there is big brother and little sister; he is so terribly protective of her, so gentle and careful with her, and in turn she stares at him adoringly and gives him some of her best smiles. Then there is big sis and "little sissy" as she keeps calling her, my girls; who I'm sure will be quite a force to be reckoned with in time, at the moment their relationship is a muddle of copious cuddles and generally finding the other one fascinating. And then of course there is the three of them together; my three little loves; a little gang. The three of them together means a lot of smiling and a lot of laughter, a fair amount of us reminding them to calm down and to quiet down and to be gentle, and a hefty amount of me feeling like I need to pinch myself. One thing I am very quickly learning about life with three, is that while I'm finding the logistics of three relatively easy, photographing three is HARD. When you're dealing with three little people your chances of someone screwing up the shot by moving or pulling a weird face or looking away are pretty high. And newborns aren't really that versatile when it comes to getting in a photo with the big kids too, so this month they're all lying down... again. I think you've got a few more months of these lying down sibling photos to look forward to from me, but maybe by the spring we can get a bit more adventurous again. It's crazy to think that this post brings another year of Siblings to a close. 2015 Siblings... done! At the beginning of this year I really didn't think there would be a third little face featuring in my photos this year, but I really could not be more glad that there is. 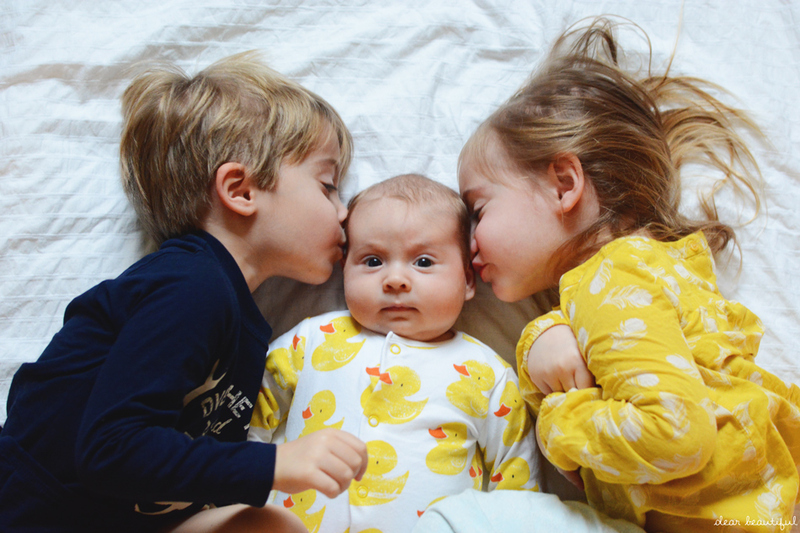 And I love that I have monthly photos of this little team of three, right from the very start. And it's actually really exciting to think how this dynamic will change over the coming year and how different they'll all be when I sit down to round up Siblings for 2016. 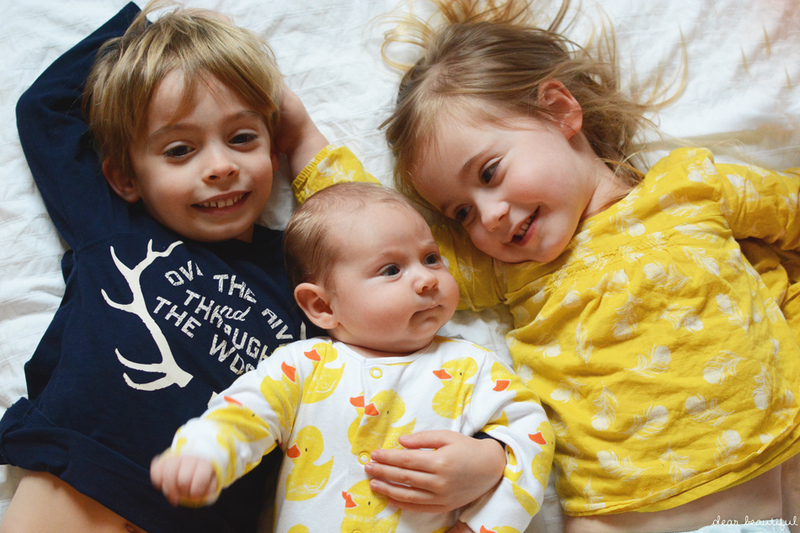 This month I'm sending you to visit Carie's three lovely children; another two girls and a boy combo, but this time with the boy in the youngest slot. It's so lovely to see the dynamics between her children shine out of her photos, and she has such a beautiful way with words when describing them too. Aww I remember this! It's so awesome seeing all those different relationships emerge, especially as I only had a sister so I had nothing to compare it to, and it just gets better and better as they get older and the littlest one gets a bit more interactive! So, so adorable! And yes, I can well imagine the logistics of photographing three being tricky, as I find 2 challenging enough! Wow - can't believe that's the siblings done for 2015, how crazy! 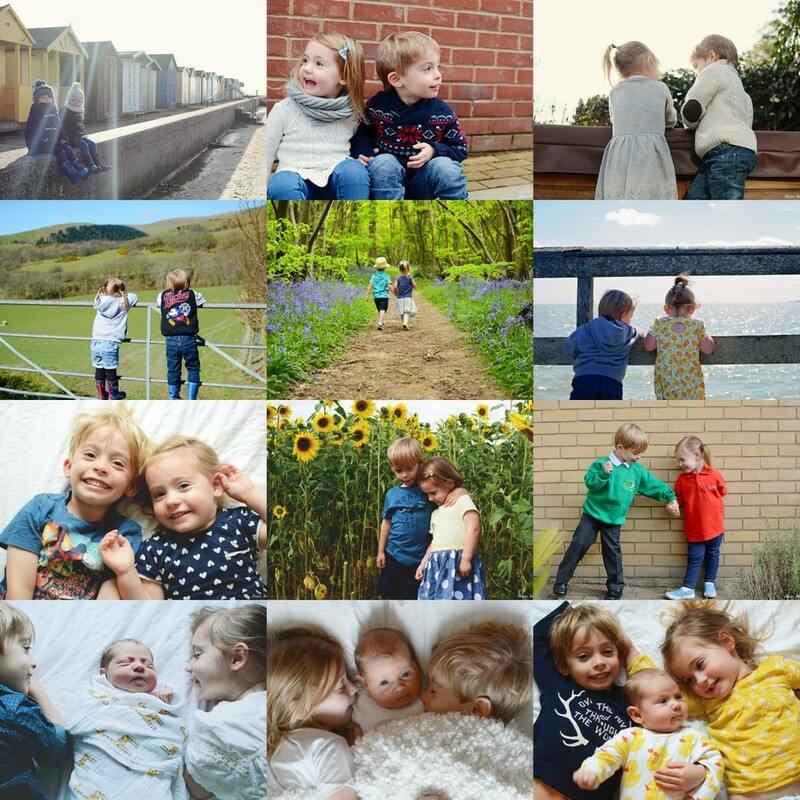 I love coming over to your blog to see your little ones, they are just the cutest and we can't wait to see how they develop next year! Oh Lucy its truly amazing to see the year in review, I loved looking back at all ours too. It just shows you how much they grow up and change month to month and I love see Flump in the photos at the end watching your beautiful family literally grow. So lovely to see. Gorgeous end of the year Siblings. Thank you so much for hosting. Can't wait to do it all again next year. 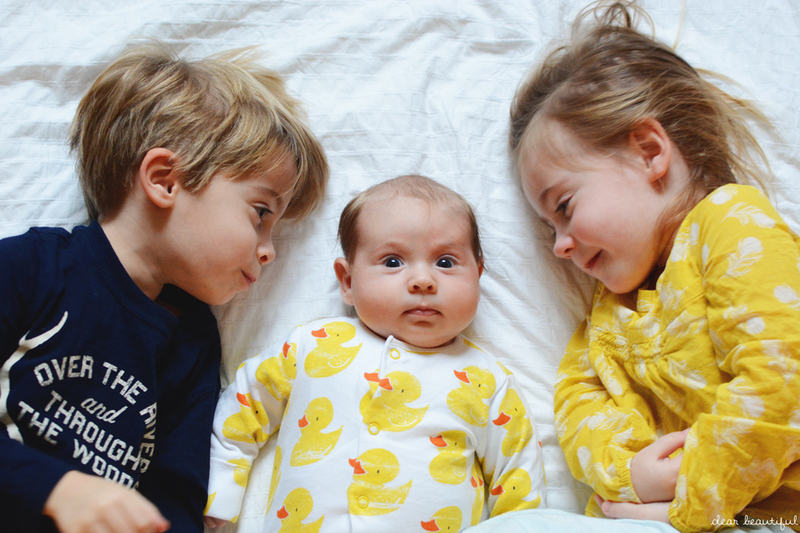 I've loved writing and taking photos for Siblings since my second baby arrived in March! Lok forward to joining in next year too. I do love that first photo of your three! I love the lying down pictures! They are so adorable, love the yellow!! Also such stunning photos in your yearly collage - I only wish for mine to be that good.